The weather outside is frightful. But, while some days might warrant sweats and leggings, on some wintry days, you want to dress a bit more delightful. Here are the colorful layers I’m wearing under my puffer coat. From a colorful graphic print sweater (now under $30) to boots that pack a pretty punch, this is one of my go-to uniforms for feeling like myself on dreary weather days. P.S. 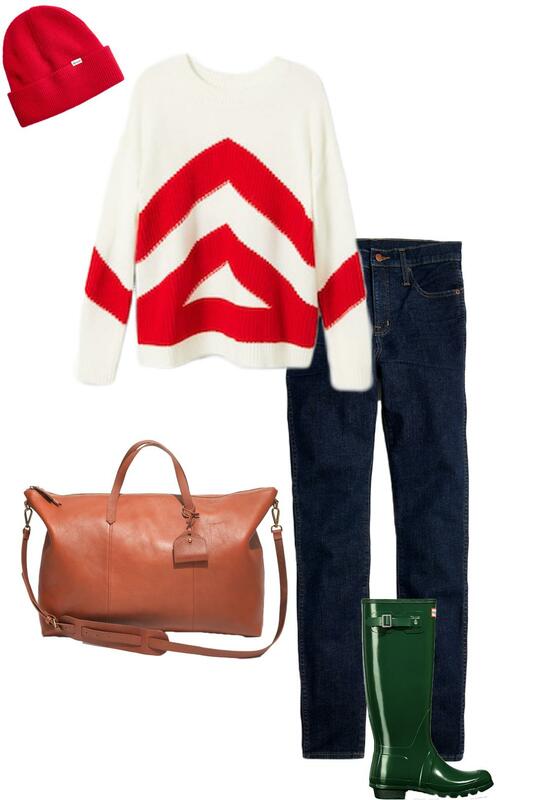 I found a few sweaters (including the one in this look) on mega sale. If you’re shopping for cool sweaters, check out the entire sale here. Some sweaters are marked down as low as $11.99. For more winter style inspiration, see here and here.